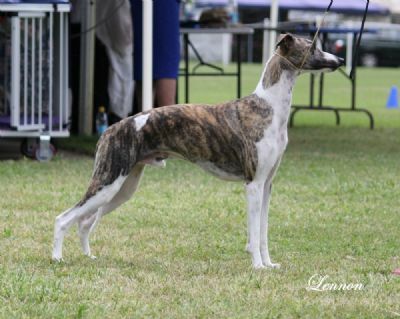 We are so proud to have Lennon here in Australia with us at Shawthing Whippets. With his awesome pedigree Lennon has already achieved that which we most wanted from him. Beautiful puppies! Now three years old & proving himself to be a great producer his progeny are already big winners in the show ring both here & overseas. 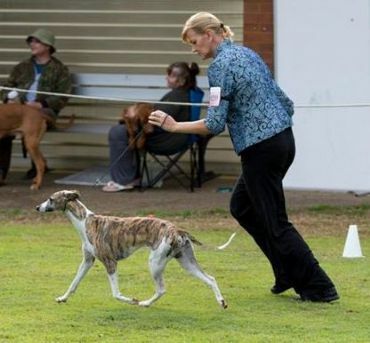 Shawthing The Hi Lander was Best Baby In Show at The Whippet national in Adelaide from a field of 63 babies. Shawthing Hi Falutin won Best Puppy in Show at the Hound Club of Qld & Shawthing Hi Fidelity is strutting her stuff in Asia & is a multiple Best in Show winner. She recently gained her Chinese Championship Title. We & others have had great success with litters from Lennon who is proving himself to be an outstanding sire. 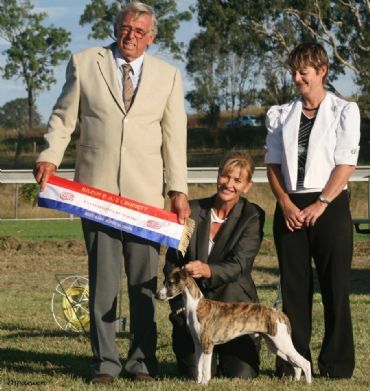 Our heartfelt thanks go to his breeder Anita Henderson (Arcon Whippets NZ) for breeding such a special boy & above all else letting him come to Australia to live, love & play with us.